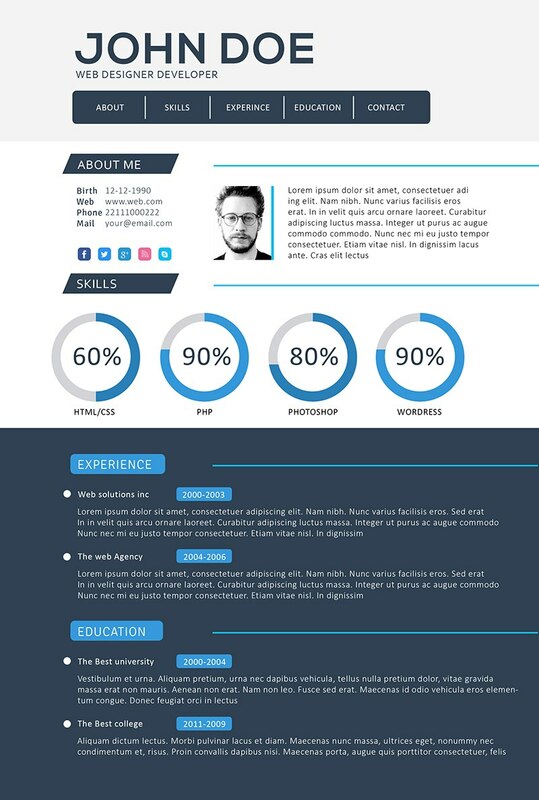 If you you are looking position in, preferably IT area, you might find useful this creative developer resume template. This nice and creative piece is created in Adobe Photoshop .psd format which also implicates, that this template is easily editable, customizable and manageable. And this also means that if you like this developer resume template and you are not developer you can in almost no time customize this resume to any kind of role or position you’d like to. 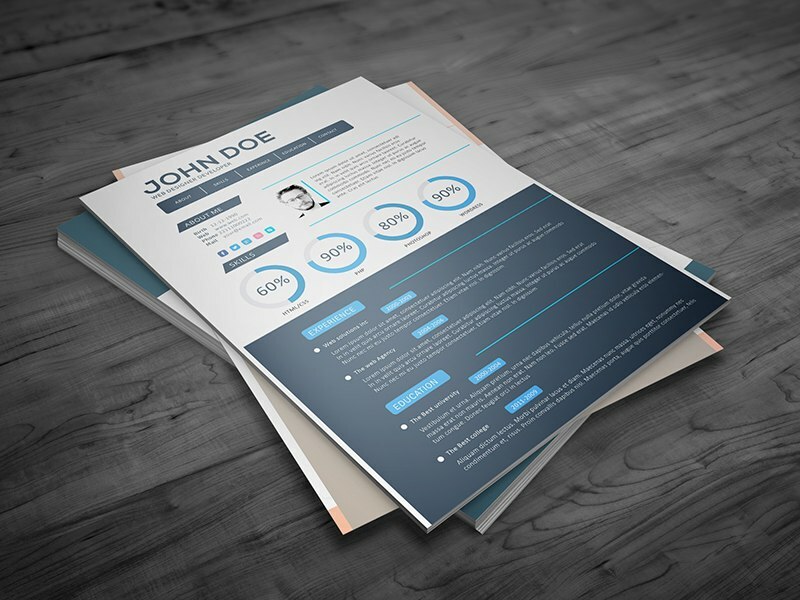 As you can see on the preview pictures, resume template is nicely structured and this means that you can fit any kind of information you’d like to. Also if you would play a bit fit the design, font size etc. you can also add or remove other kind of information like a “Awards”, “Achievements”, “Succesful projects” and so on. And before we focus on used profile sections, it is also worthwhile to mention that this developer resume template can be used as a online/web template where you can use the certain part of a header as navigate buttons. As you can see, resume is divided into three parts – header with your name, personal information and personal experience. This header is there just to fit your name and the possible navigation buttons. The second part focused on your personal information where you can fit your contact details, own objective or statement and by rounded graphs you can describe your skills. The last part is focused on your experience and gained education, where you can describe your position, job content and your studies in past. If you would like to visit authors webpage of this developer resume template you can do it via this link. How do you guys like this piece? Please share your opinion on our Facebook or Twitter channel. And if you have friends, who are looking for a job, you can tell them about our website.